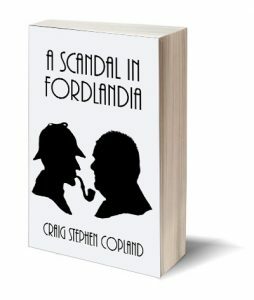 As a devoted Sherlockian you will most certainly be familiar with the wonderful story “A Scandal in Bohemia.” History now repeats itself and Holmes and Watson find themselves in Toronto in 2014, and their client a modern version of the King of Bohemia. Yet again they must use courage and ingenuity in order to save civilization, and the Mayor, from political disaster. If you love Sherlock Holmes, you will enjoy this parody of his adventure.